Thank you, Allan. I received the shoes-- they look quite beautiful and the midsole tech seems significantly more comfortable than the traditional one. I will let you know how the shoes work out, but I am a happy customer right now. Many thanks for the prompt work and fast shipping. Received shoes today and they are beautiful. No need for stretchers as they fit great now, it was just when I first go them. Thank you. i love 'em they are beautifully made shoes and now they are comfortable too. I just wanted to say that the shoes arrived last week and they are beautiful. The midsole technology is definitely more comfortable too. Just got the shoes today--incredible craftsmanship, as always! 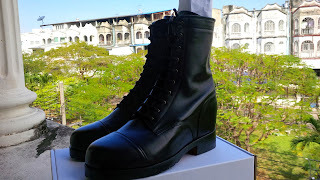 I just received the D'Etna boots and they are amazing! Truly amazing work! Thank you, and I apologize for worrying and seeming impatient. I was just wondering whether you might give me an update on the below order? I have been enjoying my current pair of midsole tech shoes - they have hardly aged a bit since I've been wearing them - great quality. Great craftsmanship. Love the detailed finishings. I just received the shoes yesterday -- they are remarkably comfortable, and they look outstanding. I just wanted to say thank you for an excellent product. I look forward to ordering another pair of a different style soon. The mid-sole technology is genius - great for walking in. Nice shoes. into because they are so beautifully crafted. We plan to buy others from you in the future. Just wanted to say I loved the recent 2 pairs of shoes you made. Thanks so much for pushing them through and giving me the loyalty discount. As always such gestures are well remembered and as such you should see another order for 2 pairs of shoes coming to you shortly from me. Allan, I have to admit, I was a little reserved about purchasing a pair of handmade shoes online as I knew it would either be hit or miss. Received the Falcone MST’s today and I must say I was extremely shocked by the quality of the shoes! I just had to try them on right away. It doesn’t feel exactly the same as regular shoes but it is comfortable enough for me to want to wear them on a regular basis and the arch is very minimal. As you had mentioned they look ab wonderful in jeans as the pants fall on the shape of the shoes really well. Almost sneaker like! Thank you for a job well done and a pleasure doing business with you! I will be purchasing a pair of dress shoes in the near future and will definitely spread the word. just received shoes they look and feel fantastic…. I think the shoes were worth the wait. they are a little tight but I think this will pass. I cannot believe how natural the walking experience is! Exceptional job ! Another planet compared to the one you gave me last time. This one are super comfortable !!! I was saying that I received the boots and they are gorgeous. Just arrived back home from holiday- shoes all received and look great. Thank you for your work- I am sure you will have another order from me in a few months when I decide to add another set of your shoes to my collection..
Over the past several years, I have purchased several pairs of Don's shoes and am a loyal return customer. 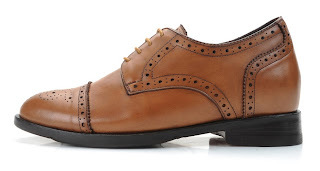 These shoes are premium, consistent in quality, and remarkable in style and design. Just received the Royston with the gold buckle. May thanks for making them just a little bit wider. They fit great and look fantastic. I received the boots today and they are extremely comfortable. I also noticed you sent a few inserts. Shoes are great! Thanks Allan. I received another pair of shoes from you. I just want to thank you for the way you handled the situration. I have received the shoes. I fell now more confortable with your webshop. Sorry for the trouble ! I received the item yesterday, and I really love them. The boots fit me perfectly,and color is so beautiful! I really appreciated your thoughtful boots! ,those boots were easy to walk on as it. I would like to express my appreciation for your warmth and concern. I'm looking forward to order next. Thanx Allan, BTW, here’s an endorsement for your midsole technology. I got a regular elevator shoe from another company and had to return it after 3 days because it was so uncomfortable compared to the midsole you put in both shoes I’ve ordered from u.
Hi Allen, received the shoes yesterday. Thanks and again you did a superior job and I'll write a very nice review as I did before. Thanks again for a beautiful shoe. Ben.